Imogen's Typewriter. 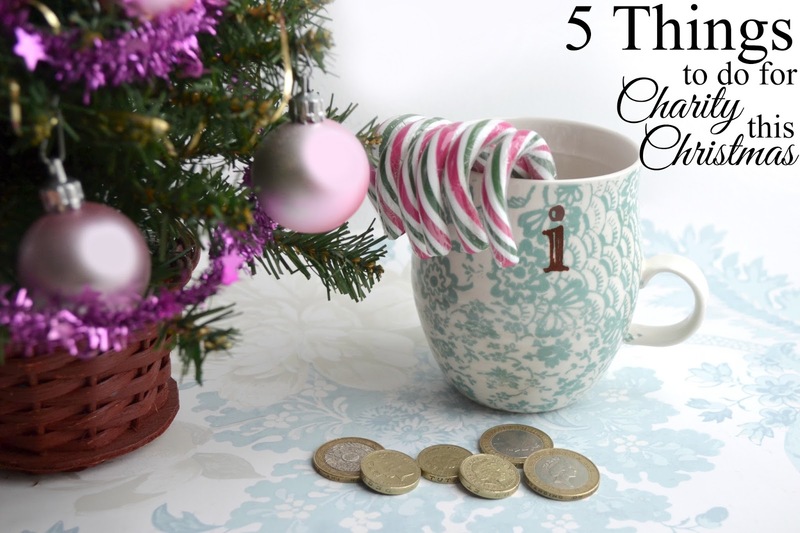 : 5 Things to do for Charity this Christmas! It's Christmas and all over the nation, money is tight. There are trees to deck, feasts to prepare, nuts to roast, presents to buy and the heating bill is taking a beating. But if you have an extra couple of quid to spend then here are 5 Things to do for Charity this Christmas that won't break the bank, but could really help somebody out. 1. Give some food to a food bank! This is super easy to do since all you have to do is buy a little extra at the food shop. Lots of supermarkets have donation points but you can also pop in your postcode on The Trussell Trust's map to find your nearest food bank! 2. Order a letter from Santa! Santa 100% exists, kids. And if you're a parent or know a child, you can order a letter for them from the NSPCC for a donation amount of your choice! All the money goes to preventing child abuse and can really help children in unsafe and neglectful situations. 3. Reserve a place at Crisis for a person who is homeless! £22.29 can get three hot meals, a shower, a change of clothes, a haircut and a health check for someone out on the streets this Christmas with Crisis. And with this year rumoured to be the coldest the UK has seen in a while, it can get someone out of the cold. 4. Buy an Oxfam Unwrapped gift for someone! With these gifts you can buy anything from a health check, safe water or even a goat couple. And at checkout there are Little Extras so your friend, significant other or family member has something to unwrap. Although probably not a gift for kids unless you're prepared for conversations like this and this! 5. Donate to the Samaritans! Even though suicide rates go down, depression rates spike around the holidays. Christmas is a tough time. It can be stressful, cold, surrounded by family- which can be good or bad, and expectations are high. But the Samaritans are there, even on Christmas day, answering calls and helping people through dark times. Have any other charities to add to the list?